Luxury water vase with Lillies, Gerberas, Thistles and other seasonal flowers. Comes complete in a vase. 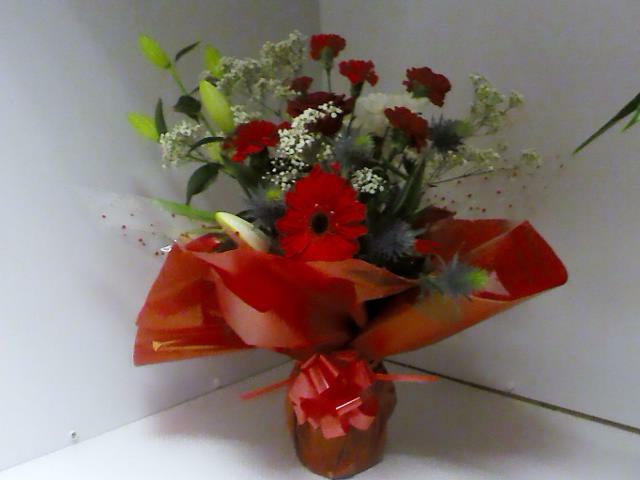 Ideal gift for anniversary or birthdays.